Two hundred and twelve to nothing. Seventeen consecutive regular-season shutouts. Two national titles in three seasons. Four overall. Bear Bryant and Nick Saban had nothing on General Neyland’s Volunteers. KNOXVILLE — The stories, like the photographs and facts, are all there, in black and white. 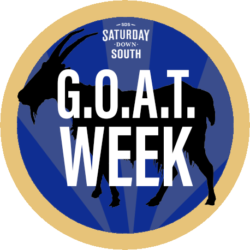 Before Bear Bryant and Nick Saban created dynasties of their own, Tennessee football ruled the SEC and, in conjunction, the college football world. One man towered above all others, in command, always. Robert Neyland, forever known as General because of his military prowess and rank, built the Volunteers into the most impenetrable program in the nation. Fives times from 1927-32, the Volunteers didn’t lose a game, but that was merely a prelude to even better times, historic times. Neyland's Vols shut out their opponents 109 times in 216 games. From 1938-40, Neyland’s men went 31-2. They finished second in the AP poll in consecutive seasons, including their unfathomable 1938 season, when they capped an 11-0 campaign by smothering Oklahoma 17-0 in the Orange Bowl to claim their first national title. They were somehow more dominant in 1939, never allowing a single point while storming through a perfect 10-0 regular season. That comprised the bulk of a 17-game regular-season game stretch in which nobody crossed their goal line or kicked a ball through their upright. That streak continued into 1940, a year in which the Vols beat Alabama for the third consecutive time, recorded eight shutouts, finished the regular season 10-0 and claimed their second national championship in three seasons. Just as Tennessee football reached the mountaintop, the country came calling — again — and a General never leaves his men behind. As much as football was a part of Neyland’s life, so was the military. After a stint at Texas A&M, he earned an invite to Army, where he starred in baseball, winning 35 games as a pitcher, and played end for two undefeated football teams. He had a chance to pursue a professional baseball career, but decided to serve in World War I instead. According to his UT bio, at age 27, he was one of the youngest commanders in the U.S. Army. He returned to Army and there began his coaching career, as an assistant in three sports. His military background created an opportunity at Tennessee. 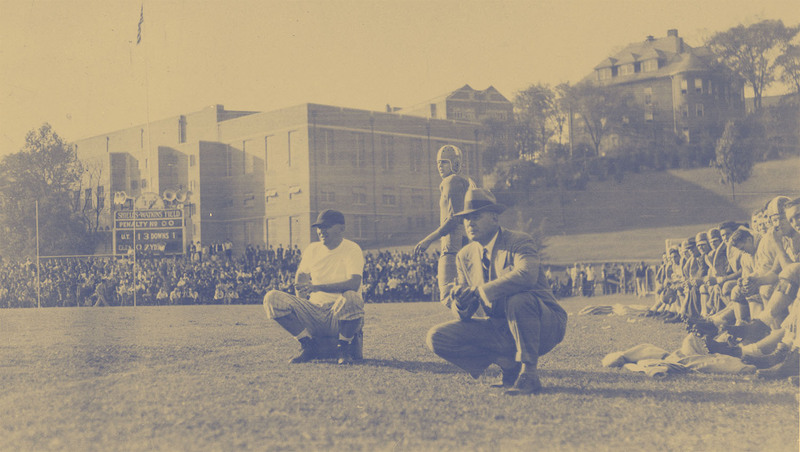 By 1924, Neyland began to look at schools where he could possibly become the head coach. Tennessee and Iowa provided offers. Neyland chose UT, where he became an R.O.T.C. instructor and assistant football coach. Tennessee outscored its opponents 212-0 in the 1939 regular season. There was another reason he specifically chose Tennessee, too. “He said he chose Tennessee typically because they have no where to go but up,” Neyland’s son, Robert Neyland Jr., told Saturday Down South. Neyland spent the 1925 season under head coach M.B. Banks. The Vols went 5-2-1, finishing 10th in the Southern Conference. In five seasons, Banks, the former Syracuse quarterback, was 27-15-3 overall. He was 14-11-2 in the Southern Conference, never finishing higher than fifth. Taking over in 1926, Neyland quickly and dramatically changed the arc and expectations for Tennessee football. The Vols went 76-7-5 in his first nine seasons before Neyland sailed to Panama for a military tour in January 1935. In 1935, with Neyland serving overseas, the Vols regressed to 4-5 under interim Will Britton. The loss total that season nearly matched Neyland’s career total. Neyland retired from the Army on Jan. 21, 1936 and returned to UT. The Vols quickly returned to their winning ways. Paralleling his rise as a dominant coach, Neyland’s rank and reputation in the military also grew. As the decade closed, World War II was underway. Hitler was invading parts of Europe and planning attacks on Asia. Neyland was under the impression that he would not re-enter the military unless he felt the country needed him. On April 28, 1941, just a few months removed from his second national title, Neyland was ordered to duty. He reported May 26 to Norfolk, Va. Upon leaving Knoxville, he received a farewell and envisioned returning the following May, but that did not happen. Neyland spent time during World War II commanding the U.S. supply corps in Calcutta, India, as he regularly unloaded 10,000-ton ships. In the throes of war, football was never far from his mind; at times he requested game films of various college football games to watch while overseas. John Barnhill, an All-American lineman under Neyland who joined his staff as an assistant in 1934, did more than an admirable job of holding down the fort in his absence. The Vols didn’t contend for national titles during Neyland’s 4-year Army mission, but they stayed ranked and went 32-5. Neyland returned in 1946. The Vols went 9-2, but the game was changing. 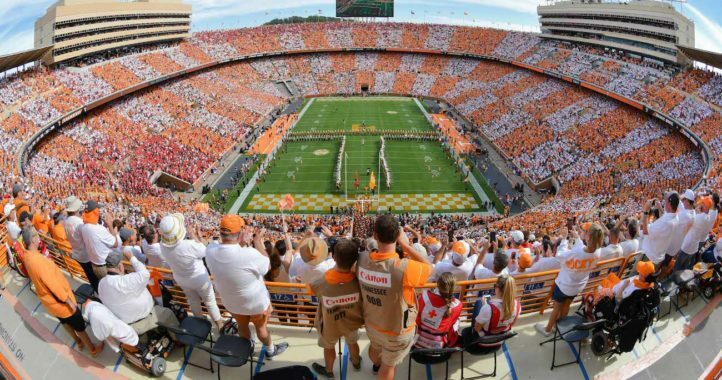 Tennessee’s future hinged on a critical question: Could — and would — Neyland change, too? The NCAA had begun to allow unlimited substitutions due to the difficulty in fielding skilled players as a result of World War II. The two-platoon system was born. No longer were players exhausted by playing on both sides of the ball. Now, they could play offense or defense. 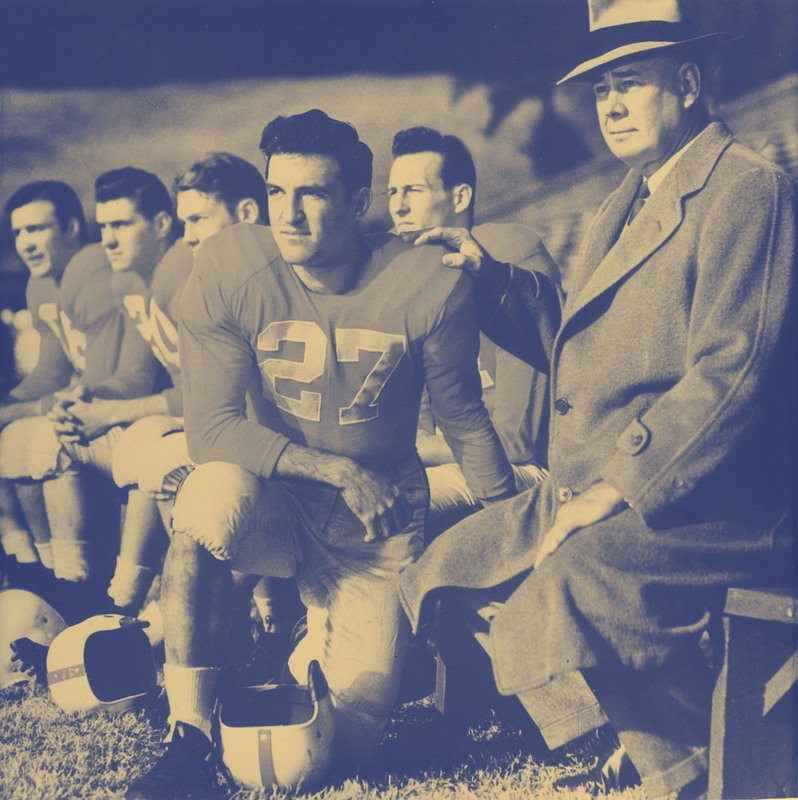 Neyland was not a fan of running a two-platoon system; his players continued to play both ways in 1947 and 1948. As more teams adapted the two-platoon system, Neyland saw his worst years, going 5-5 in 1947 and 4-4-2 in 1948. Neyland had seen enough. He implemented a two-platoon system for the 1949 season and the Vols finished 7-2-1. He then won the national championship in 1950 and 1951. Neyland won 173 games at Tennessee, still the program record. Just as Neyland’s career was simultaneously resurrecting and nearing the end, he crossed paths again with Paul Bear Bryant. Bryant was a standout lineman at Alabama, where he helped the Tide beat Neyland’s Vols in consecutive years from 1933-34. Bryant, too, served in World War II before starting his coaching career at Maryland in 1946. A year later, he took over a Kentucky program that soon would become Tennessee’s rival. 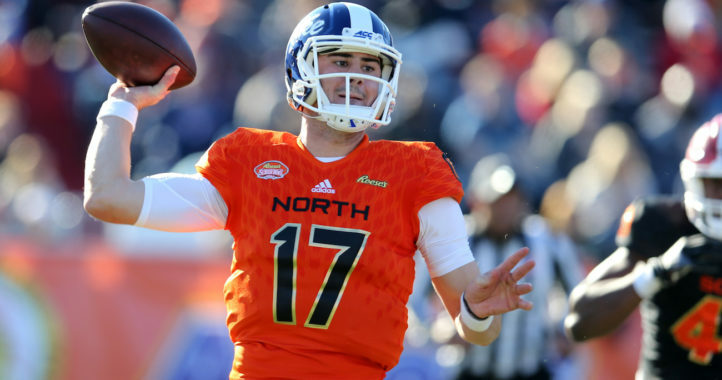 Bryant guided the Wildcats to a laundry lists of firsts: first 8-win season, first 9-win season, first double-digits win season, first SEC title, first bowl victory. One thing he never did, however, was beat Neyland. 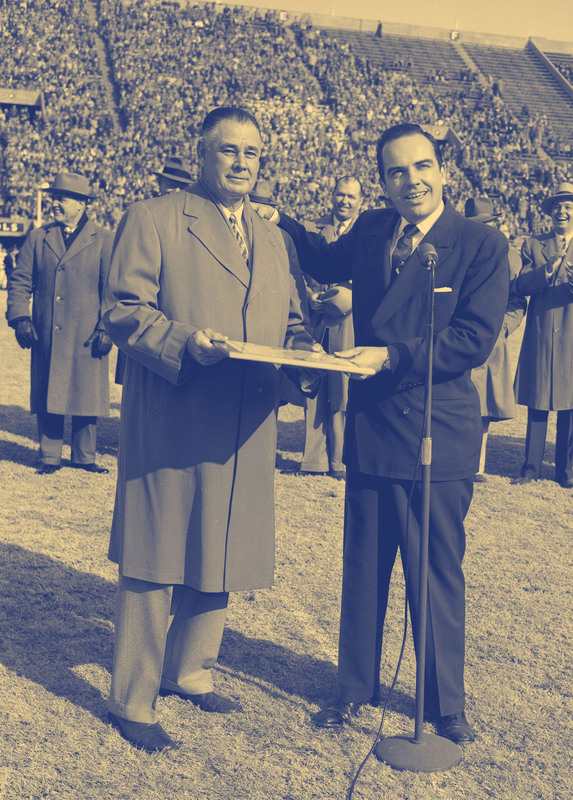 The General and the Bear squared off annually from 1946-1952, with Neyland going 5-0-2. Their first meeting in 1946 was memorable: deadlocked in a scoreless tie in the fourth quarter when UT’s Walter Slater returned a George Blanda kick untouched for a 46-yard touchdown for a 7-0 win in front of 35,000 at Shields-Watkins Field. The most impactful matchup came several years later, in 1950. Tennessee escaped with a 7-0 victory and went on to claim its third national championship. Their next meeting was over early, a 28-0 pounding in Birmingham that pushed the Vols up one spot to No. 1 in the nation, where they stayed the remainder of the regular season to claim their fourth national title. Following the 1952 season and an offseason Florida vacation that ended a day before his 61st birthday on Feb. 17, 1953, Neyland retired as doctors recommended that he step away due to declining health. Spring practices were set to begin the following week, and the General advised that he would retire for a year and try to come back. Neyland Jr. says that his father became sick from his time in India during World War II. Neyland made his way by train to Walter Reed Hospital in Washington, D.C., for treatment. Neyland’s doctors advised him to take an indefinite leave. Neyland finished his coaching career with an overall record of 173-31-12, four national championships, five SEC championships and two Southern Conference championships. Bryant and Saban since surpassed those national championships totals, but it’s fair to wonder whether the magic number would have been higher and harder to reach had Neyland, ever the military man, the Ted Williams of college football, not devoted five years of his prime to a greater cause. I’m not big on comparisons of players or coaches whose time is/was 50-75 years apart. Well even 25 for that matter. The game changes so much and the players too. The General was a great man, coach, leader and patriot. The world could use several more of him. He did have some pretty impressive stats for his teams, I don’t care how long ago it was. RIP General and thanks. You’re 100% right about that. Glad to see him included on this list. By that standard we wouldn’t even be able to compare Saban and The Bear. Neyland would have been as dominant today with his visionary attitude and unstoppable work ethic. I think when you get into comparing guys in such rarified air it becomes apples and other apples. He makes me proud to be a Volunteer. It truly is a sickening world that we live in. He was a very intelligent man as well, the stadium is not just named after him, it was designed by him as well. He was one of if not the first coach that used sideline phones and game film. But he was a pallbearer at his funeral. In the single platoon era, there was none better. Thank goodness he chose to come to Tennessee instead of Iowa. Coach Bryant stated that he learned more from the General than any other coach. The General had quite the impressive coaching career, but an even more impressive life. Nice article. Certainly a great man, patriot, coach and leader. One item not mentioned is he obviously helped create and nurture the new Southeastern Conference and Tennessee never missed a beat in the new conference. Very well written SDS. Comparing him to Bryant is like comparing Bryant to pat dye. Comparing Bryant to Saban is like comparing Neyland to Heisman. The sentence “number would have been higher and harder to reach had Neyland, ever the military man, the Ted Williams of college football, not devoted five years of his prime to a greater cause. Comparing him to Bryant is like comparing Bryant to pat dye. Comparing Bryant to Saban is like comparing Neyland to Heisman. The sentence “number would have been higher and harder to reach had Neyland, ever the military man, the Ted Williams of college football, not devoted five years of his prime to a greater cause. Bryant did the same thing and joined up in WWII. He also had stints at Maryland, Kentucky, TAMU before Bama. Saban began coaching in the 70’s…honed his skills in the NFL, then Michigan state, LSU, more NFL, then finally Bama. Neyland was great! No arguments there. But both Bear and Saban has surpassed him. He is number 3 of those 3.